WE HAVE PARTS AND ACCESSORIES FOR HARLEY-DAVIDSON AND OTHER MOTORCYCLES! 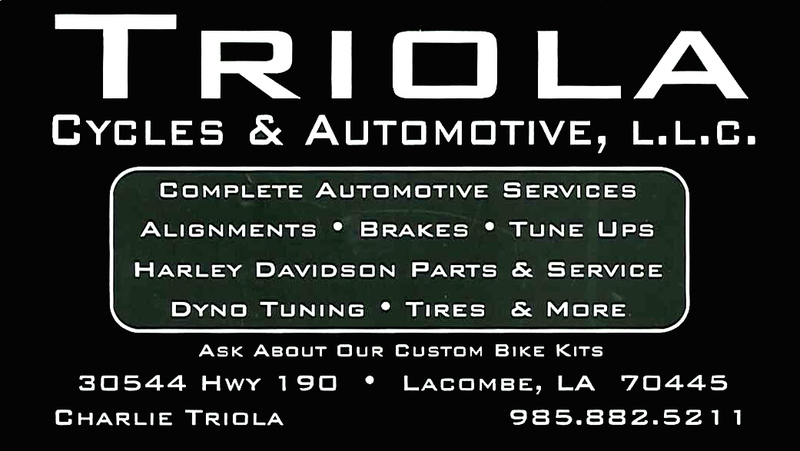 With over 30 years experience on the Northshore, Triola Cycles & Automotive, LLC has earned the confidence of thousands of vehicle owners throughout the Gulf South. We specialize in Harley-Davidson motorcycles and have state-of-the-art motorcycle dynamometer equipment. 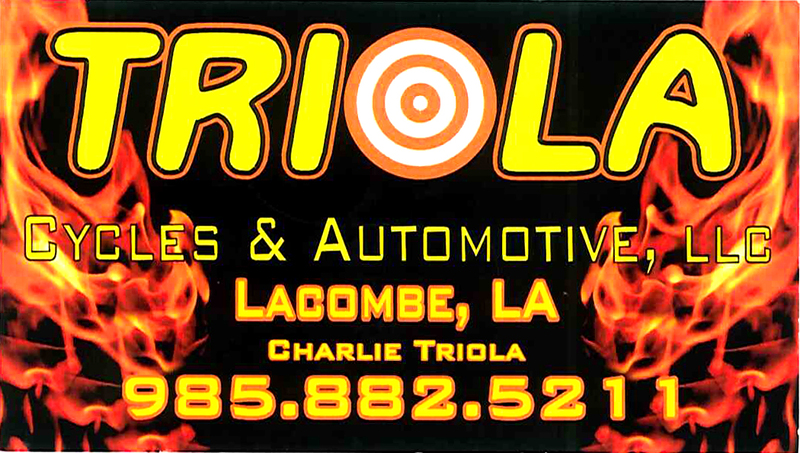 We also offer general automobile repair and alignment services.